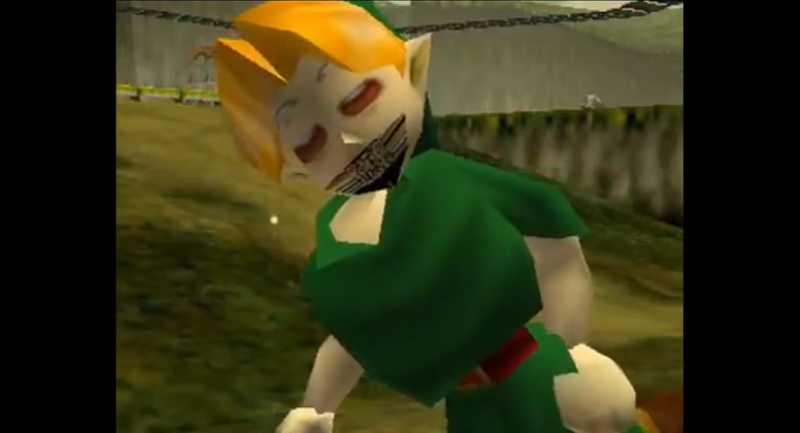 If your knowledge of Ocarina of Time goes beyond what is shown inside of the game itself you likely know that Ocarina of Time has a large number of glitches, exploits and other unintended tricks in it. With the advent and subsequent mastery of emulation technology people have found ways to force certain glitches onto the game. With the start of November the YouTube personality PeanutButterGamer enters his fourth Zelda Month in which he makes all kinds of videos dedicated to The Legend of Zelda. In his first video this month he showcases a number of the awesome, scary, freaky and in one particular case cute hacks of Ocarina of Time. See his video after the break! From the “skip all dungeons and face Ganon using only Deku Sticks” glitch, to all kinds of ways to “escape” from the game world, many of these glitches are well-beloved by the fans of the game. It is only natural that people would want to dive deeper into the game’s code and mess with things themselves. These videos are used with the Vinesauce Rom Corruptor and the cheats were entered using Gameshark codes. Did you enjoy the video? Are you excited for more of PBG’s Zelda Month? Leave a comment below!